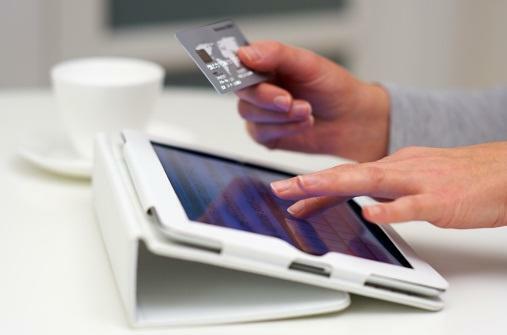 Mobile Commerce startup companies attracted 1,2 billion US dollars in VC investments in 2013, while participated in 138 merger and acquisition deals, according to data presented during a breakfast briefing organised in London, UK by StrategyEye, a hosted marketing and publishing software provider and intelligence services provider for the Digital Media and Cleantech sectors, . The total value of 93 mobile commerce investments in 2013 monitored by StrategyEye Digital Media, an intelligence platform that helps executives monitor global corporate activity and trends in the technology industry, was $1,2bn, with taxi-hailing app Uber accounting for the largest deal ($360mn). As Tom O’Meara, Head of Editorial and Analysis at StrategyEye, pointed out, mCommerce investments in 2013 were double in comparison with 2012, while for 2014 mobile messaging apps are predicted to play a growing role to mobile commerce. Julie Langley, partner at Results International, presented the M&A deals flow in mCommerce in 2013, highlighting that while the sector shows a lot of VC activity, the mergers and acquisitions area is lagging behind. Results International tracked during 2013, 138 deals of 5,3 billion US dollars of disclosed value. The most active players in the sector in 2013 were Yahoo (8 deals), eBay (4), Facebook (3), Twitter (3), IPG (3), WPP (2), Square (2), Groupon (2), RichRelevance (2). As Julie Langley pointed out most of the deals were acqu-hires with large corporations buying out teams with mobile expertise. In the same time, apart from consumer facing acquirers, like Facebook, Yahoo and eBay, 2013 saw an increase of enterprise software acquirers, such as Oracle, IBM and SalesForce, as traditional “dinosaur” corporations are trying to enable mobile commerce in their products and services. Langley described mobile commerce as “the fastest-growing retail channel“, as it helps physical retailers leverage with the online world and boost their sales and profits. 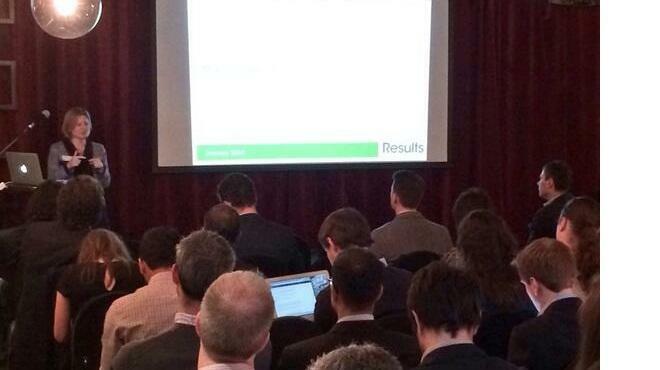 The briefing hosted two of the most up-and-coming european mobile payments startups, iZettle and Yoyo. 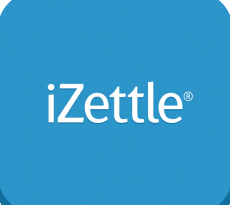 iZettle, backed with $46,7mn of funding and presence in Sweden, Norway, Denmark, Finland, UK, Germany, Spain, Mexico and Brazil, has developed a mobile payments system based on its proprietary card reader. Customers pay cashless, with their credit or debit card, and get their receipt in print or via email. Retailers, apart from a modern way of accepting payments, are provided with a back-end platform that let them track statistics of their sales and business performance. 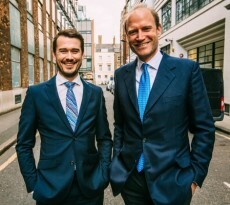 Jens Munch, managing director of iZettle UK, said that after launching in the UK in February the company attracted a lot of traction, mainly in London, while the next step for them is the SaaS pricing model iZettle has introduced, offering automatic discounts according to sales volume. He described data and statistics as “the Holy Grail of mobile payments“, because they let retailers grow their business, and he pointed out that cardless systems will continue to grow because they offer a real solution and not only convenience, but when asked he told the world still hasn’t seen the next killer app in mobile payments. 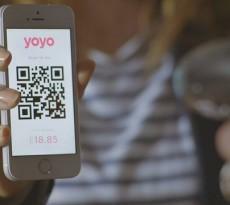 Yoyo, a UK startup that has recently announced a $1,2mn seed funding round, has developed a mobile payments app that allows customers pay just by scanning a product’s barcode with their smartphone and at the same time carry in one app all of their loyalty cards, getting rewarding for buying from partnering retailers. Shop owners are also provided with a back-end platform that lets them gain real-time data and understand their customer’s buying habits, increasing effectively their sales and customer engagement. Michael Rolph, Yoyo’s co-founder, said that the company’s approach is retailer-centric rather than payments-centric, enabling shop owners to sell more while providing better services and saving money and to make better use with the data collected through the app. Commenting on the mobile payments rising trend, Rolph said that customers are still more willing to pay by cards and cash rather than through mPayments apps, as people are creatures of habit.